Several US Navy troops were detained on charges of drug use and distribution. During the investigation, two of them admitted that the drug LSD had been carried on board the Ronald Reagan nuclear aircraft carrier (USS Ronald Reagan, CVN-76). This was reported by the American specialized publication Navy Times. The assistant to the operator of a nuclear reactor, Philip S. Kolgrow, confessed to the crime, stating that he had delivered drugs on board the ship during his stay at ports of Japan – Tokyo, Yoakagam and Yokosuka. The court sentenced him to 9 months imprisonment and lowered his rank. When making a less severe punishment, the court took into account the fact that Philip S. Kolgrow cooperated with the investigation. Another serviceman, 2nd class electrician assistant, Sean M. Gevero, previously confessed to committing a similar crime. Thus , according to the newspaper, the total number of sailors of the aircraft carrier Ronald Reagan pursued in connection with the “abuse of LSD” has increased to four. Another sailor is on trial. 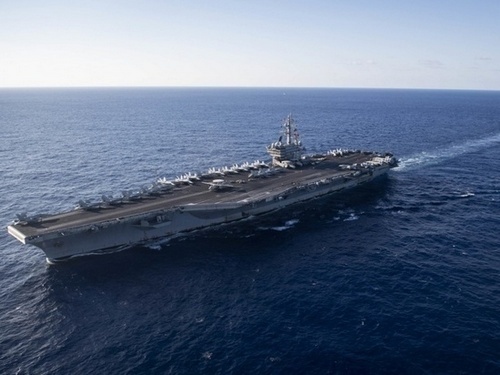 Earlier, sources at the command of the 7th Fleet of the United States Navy reported that ten other sailors from the engineering section of the Ronald Reagan reactor department were subject to administrative penalties for links with the drug business. This is not the first episode associated with the use of drugs at nuclear facilities of the US Army. As reported by the American television channel CBS in May 2018, 14 soldiers from the security units of the air base to them. F. E. Warren The US Air Force in Wyoming, which is charged with guarding the storage of nuclear missiles, was punished for using LSD between shifts. The aircraft carrier Ronald Reagan joined the US Navy in 2003. There are 78 aircraft on board the ship, including multi-role fighters capable of delivering air strikes against targets on land. The ship has two nuclear reactors with a capacity of 260 thousand hp. The crew (excluding the wing) is 3200 people. The home port of the aircraft carrier is the Japanese city of Yokosuka, where the main forces of the 7th US Navy are based.